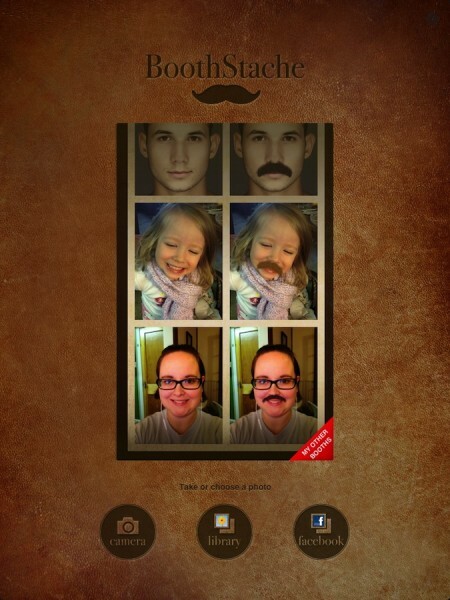 BoothStache ($0.99) by PiVi & Co is a photography app that adds a well-groomed mustache to the subject of the photo. 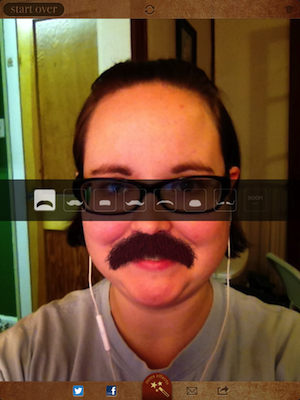 The great thing about using Boothstache is the instant results. 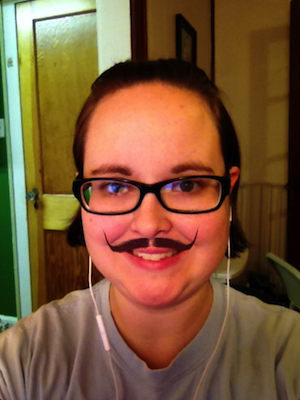 I got these mustaches in a matter of minutes. There were no long wait times where my face looked funny while my mustache filled out. It didn’t itch, and I caught absolutely no drink or soup in my fancy mustache. I’m confident enough as a writer to come clean and admit that I have never grown a mustache in my life. There. I said it. 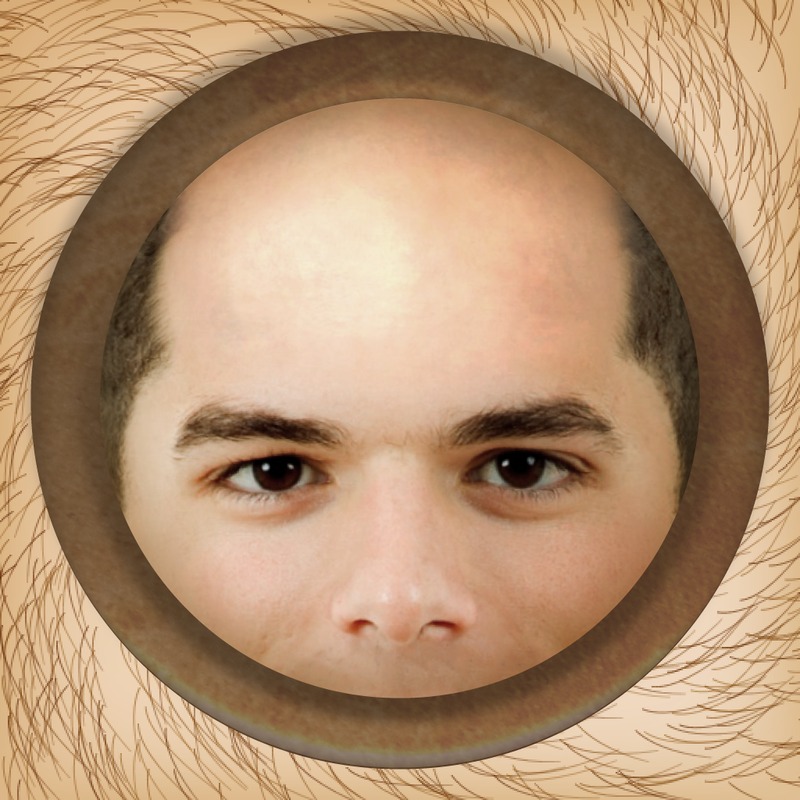 I only repeated what men in my life have complained about while they were growing their facial hair. 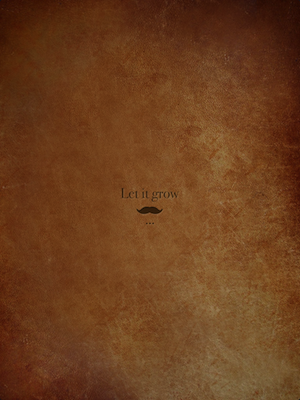 Though I will say that I’d look quite dashing if I ever did try to grow one. 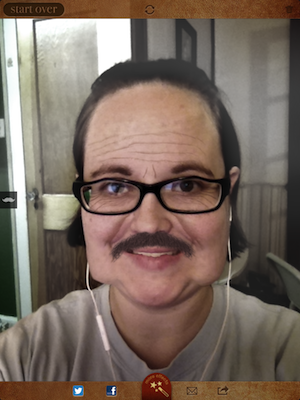 I was impressed with how well the mustache matched my real hair. By “real,” I mean that I dyed my hair, and the app picked up on it. There’s a distinct red tinge in the facial hair that perfectly matches my own. 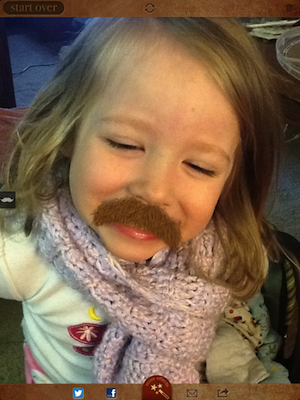 I also tried the app on my daughter, and her facial hair was a well-matched blonde. There are several different types of mustaches that you can choose from. There are also more planned for an upcoming update. All you have to do is take the picture and align the markers for the eyes, mouth, and chin. 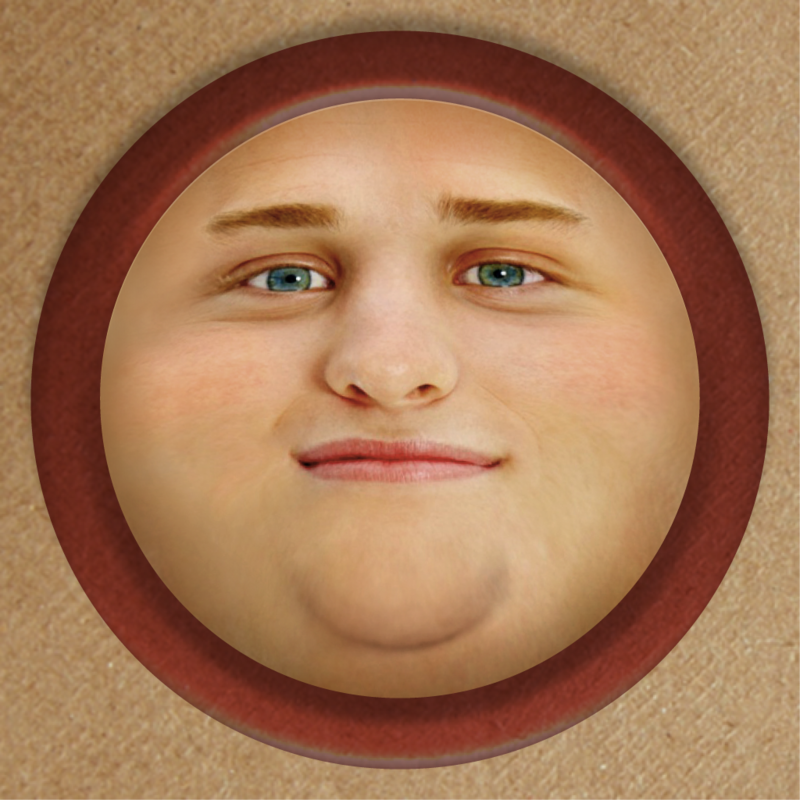 The app takes care of the rest. 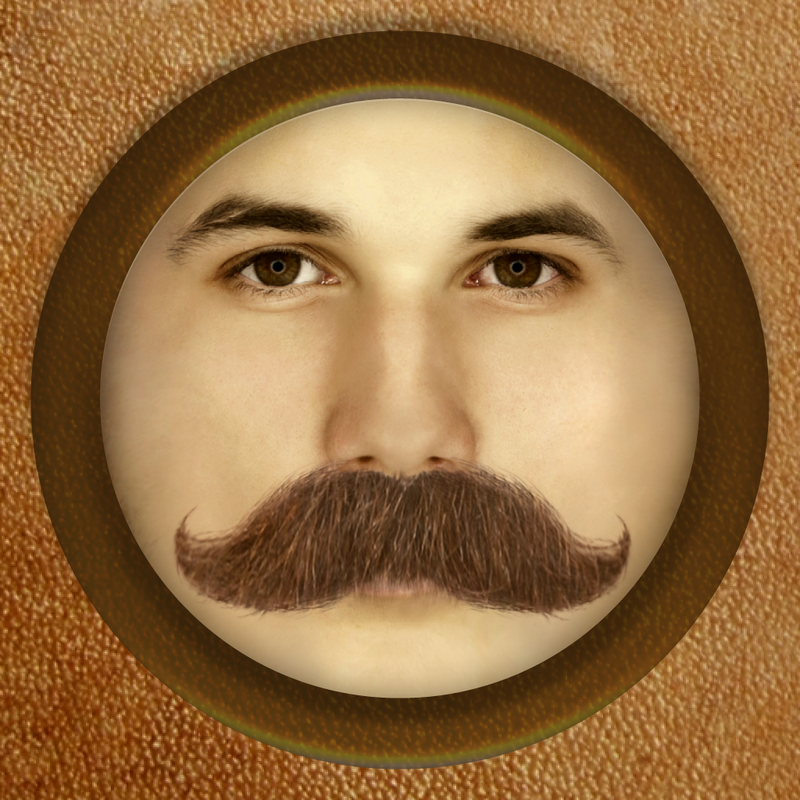 It even matches brightness of the photo to make the mustache look more natural. I’ve had plenty of experience writing about PiVi & Co, and their apps are always solid. No glitches, crashes, or bugs. They also allow you to double up on your booth effects through one app. 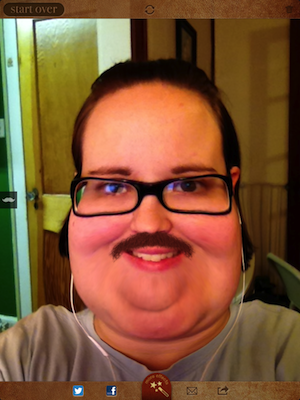 If you select the “more effects” option, you can add effects from other apps like FatBooth or BaldBooth to your Boothstache picture. 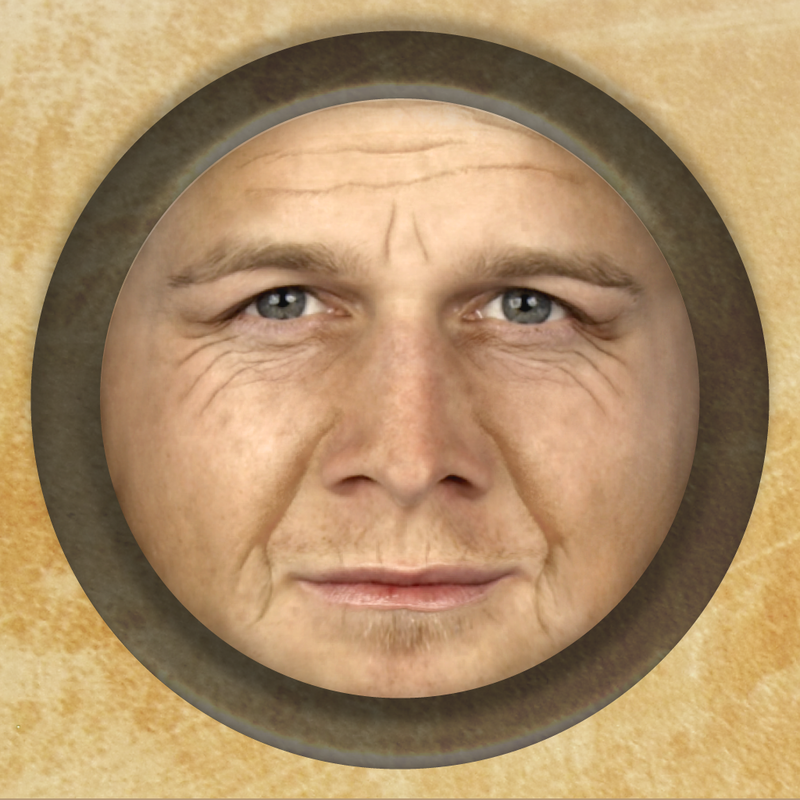 I have pictures from adding FatBooth and AgingBooth effects. You’ll notice I still have a glorious mustache, even though it’s not a part of either of those two apps. BoothStache is available in the App Store for $0.99. It’s a universal app, and you can add effects from other booths that you’ve purchased.